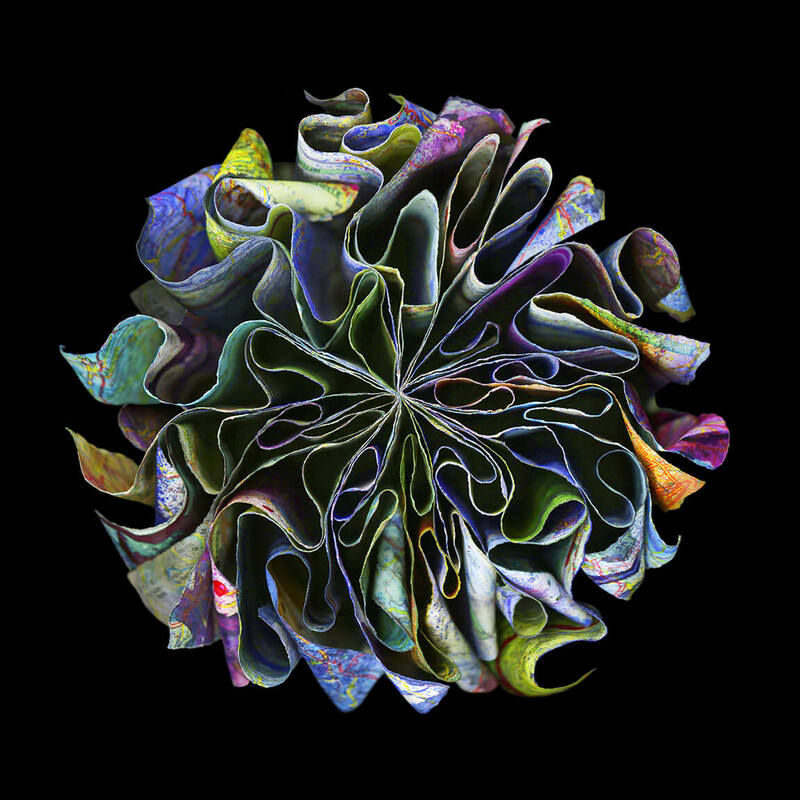 We are happy to inform you that the talented Cara Barer created once again a breathtaking new series. This time her main interest of material has been maps and trekking cards from all over the globe. From Paris to the UK and trekking through Alaska. We are looking forward to hear your thoughts on this first – class new series of works. 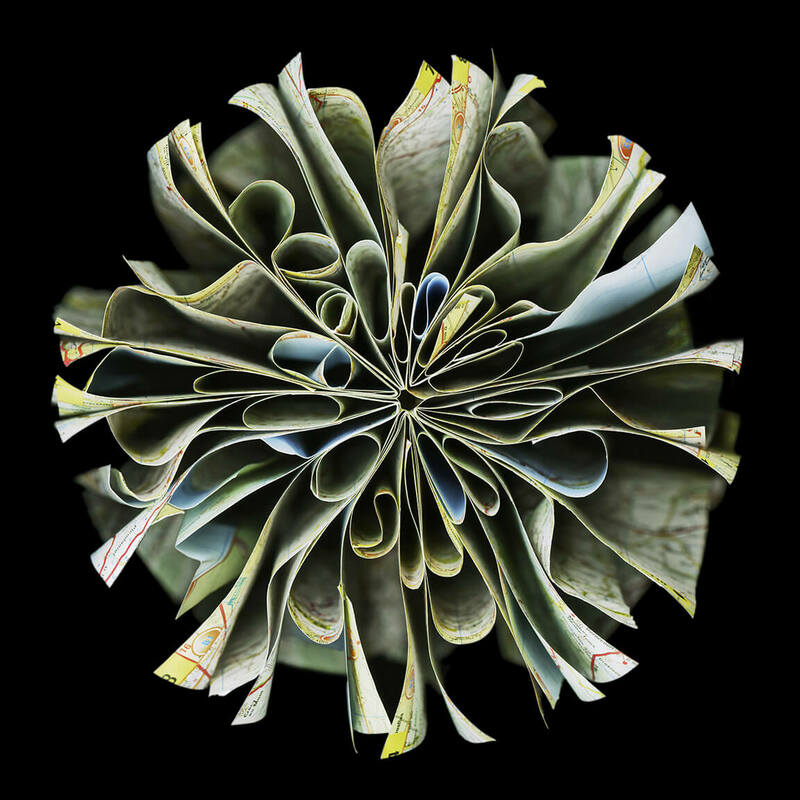 Cara Barer creates a new body of work with maps as the primary source of material. 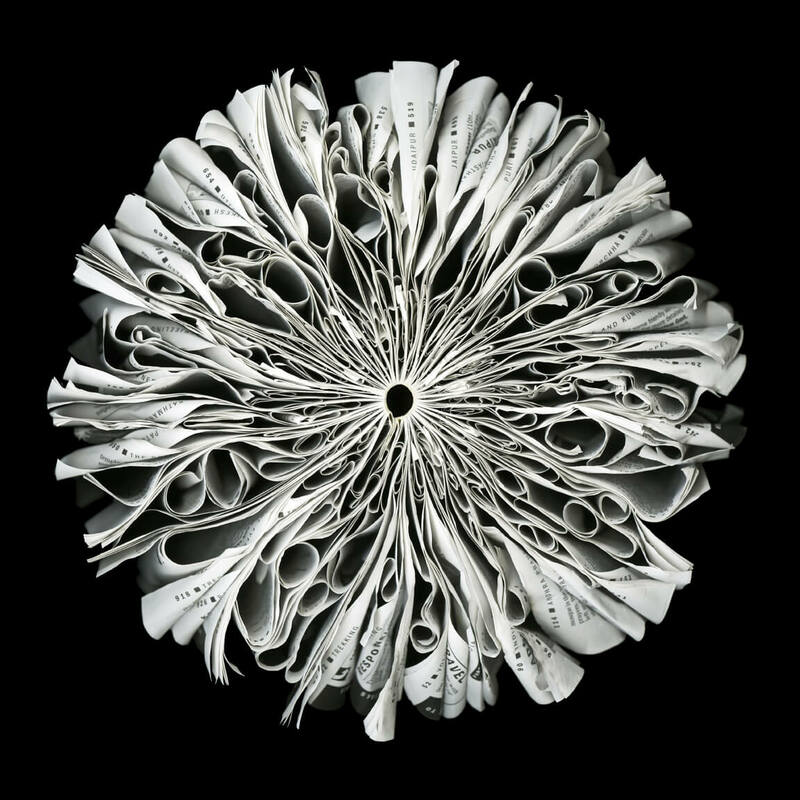 She paints, rips and tears before binding them into a book form which she has been working with for several years. She then takes these handmade objects and presents them renewed in a photograph.